Five-time Giro d’Italia stage victor and points jersey winner Adriano Baffi is the latest signing for the Luxembourg Pro Cycling Project, taking up a directeur sportif role with the new ProTeam squad. 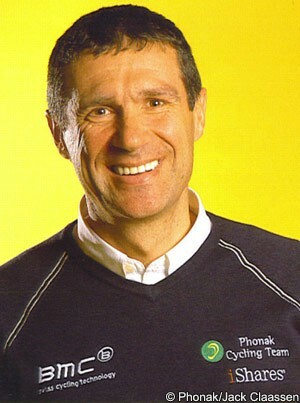 The 48 year old Italian retired in 2002 and acted as a directeur sportif in the years since. He’s happy to get the chance to work with the biggest new team in the sport. Nygaard believes that Baffi has the right temperment and experience to be a strong addition to the team. “From his days as a rider, Adriano proved himself to be one of the great tacticians,” he explained. “And since he also worked successfully as a Sports Director on some of the biggest teams in the sport, I have no doubt that he will bring a lot to our program. The former pro will join a previously-signed trio of sport directors, namely Luca Guercilena, Torsten Schmidt, and Lars Michaelsen. He will help riders such as double Tour de France runner-up Andy Schleck, his brother Frank Schleck, world time trial champion Fabian Cancellara and promising GC rider Jakob Fuglsang to get the best possible results.